The post Suspect Accused of Joining Al Qaeda in Syria appeared first on Faith Matters. The post UK: Knife Obsessed Teenager Jailed for Possession and Dissemination of Terrorist Material appeared first on Faith Matters. The post Thousands to leave Lebanon-Syria border zone under deal appeared first on Faith Matters. North Carolina Pastors Network Sponsors Anti-Muslim Billboards in U.S. The post North Carolina Pastors Network Sponsors Anti-Muslim Billboards in U.S. appeared first on TELL MAMA. The post London man guilty of leaving bomb on train near Canary Wharf bank district appeared first on TELL MAMA. The post Syrian rebels say former Nusra Front fighters included in ceasefire appeared first on Faith Matters. The post Al Qaeda chief tells jihadist fighters in Syria – Unite or die appeared first on Faith Matters. The post 5-Suspected Islamists kill Bangladeshi gay activist working for US embassy appeared first on Faith Matters. Al-Qaeda’s Ayman Al-Zawahiri has pledged allegiance to the new head of the Afghan Taliban in an audio on-line message. The move is seen politically to enhance the status of the new leader, (Mullah Mohammad Akhtar Mansour), after the death of the Group’s founder, Mullah Mohammad Omar, some two years ago. 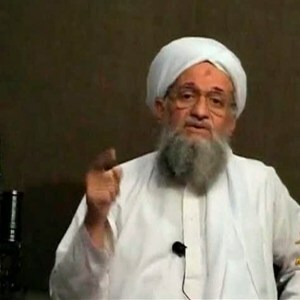 Al-Zawahiri stated, “We pledge our allegiance … (to the) commander of the faithful, Mullah Mohammad Akhtar Mansour, may God protect him.” The move is seen as a way of shoring up the waning support for Al-Qaeda, a group which has largely lost traction and support to groups such as ISIS and local splinter extremist groups in countries across the Maghreb to the Middle East. The move is also meant to try and hold the group together as it started to splinter after the reported death of Mullah Omar. The post Al Qaeda’s Al-Zawahiri Pledges Allegiance to New Taliban Chief appeared first on Religious Reader.